Figure 3-2. --Example of Non-NSN requisition. Figure 3-1. --Example of MILSTRIP documents. 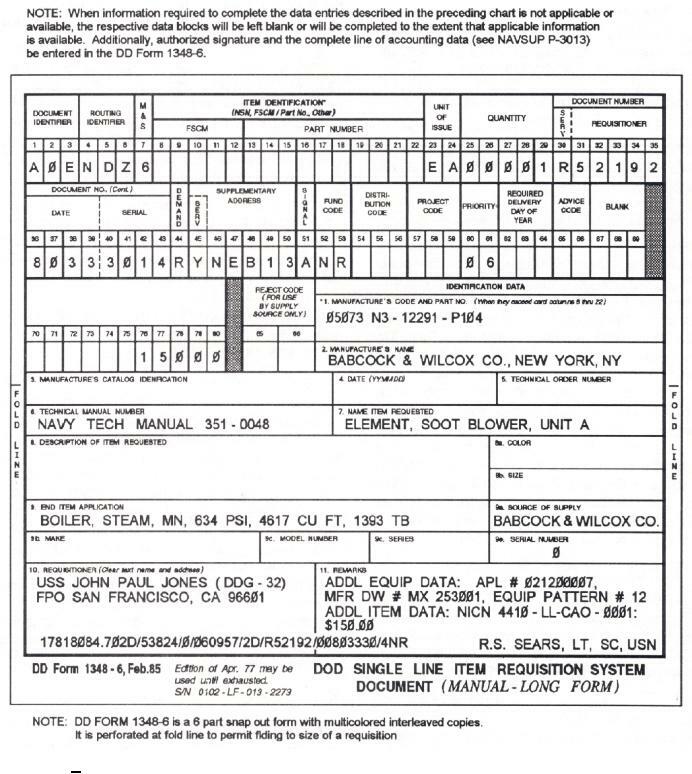 format as that described for a MILSTRIP requisition. are described in NAVSUP P-485. also found in the NAVSUP P-485.